8 million people live in the Third World city where criminality, unsanitary and corruption reign. How many years it is necessary to change situation and make people living better? 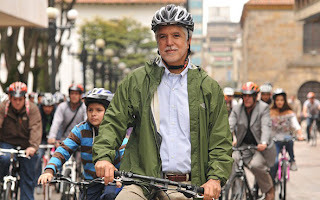 Enrique Penalosa became the Bogotá mayor in 1998 and he had only three years to resolve urgent city problems. According to Columbian laws he had only one possibility to be elected. For those three years he turned Bogotá from degradation to development. His methods were too strict that he very nearly lost his post. 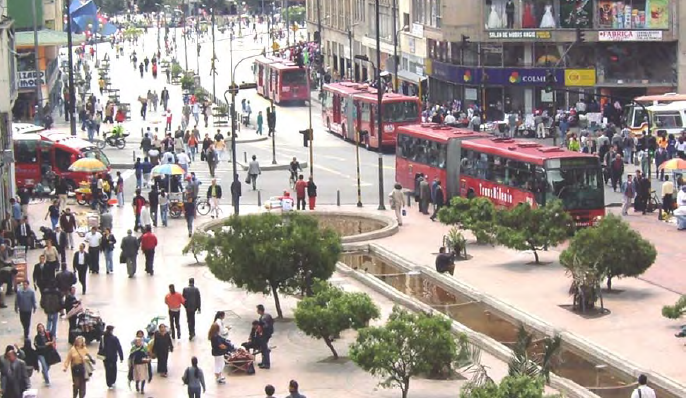 The main Penalosa’s idea was to create the city respecting human dignity. He thought equality and happiness are associated and the main obstacle to happiness is humiliation and infringement of people rights. Because of that public places development became the most important Penalosa’s interest. Parks, libraries, shops, roads, pavements are the place where people are equal. Firstly Penalosa took down slums at the centre of Colombian capital. 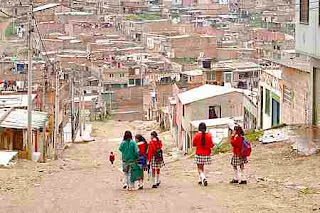 The Cartucho (2,000 people) was a district controlled by drug mafia. It was such border between rich North and poor South. Even policemen were afraid to go here not saying about usual citizens. The beautiful Saint Victorian Square appeared here in a year. The pavements in Bogotá were practically absent or cars stayed there. New pavements appeared even in such poor districts where usual roads did not have hard surface. The bollards were set to put in order parking. Political opponents joined dissatisfied shop owners and demand to discharge Enrique Penalosa. It is interesting that some months later dealers and businessmen approve his work: the city became more comfortable for pedestrians and it favored to increase people influx to the shopping centers. Penalosa lay out parks and avenues. It was too hard to fight with the local elite, they didn’t want to give their lands for parks and public places. Besides it was important to resolve transport problem in Bogotá. There was no centralized direction of bus routes and a lot of transport needs were not taken in account. In spite of people had few cars there were long traffic jams along the main streets. One Japanese company offered to build some highways but the Bogotá’s mayor reject their idea: it was immorally and inefficient to build the roads for reach men when many poor people don’t have plumbing and electricity in their houses and children can’t go to the schools. Subways was also bad idea: money was enough only for one metro line which couldn’t solve city problems. Everybody may use public conveyances independently of their incomes. 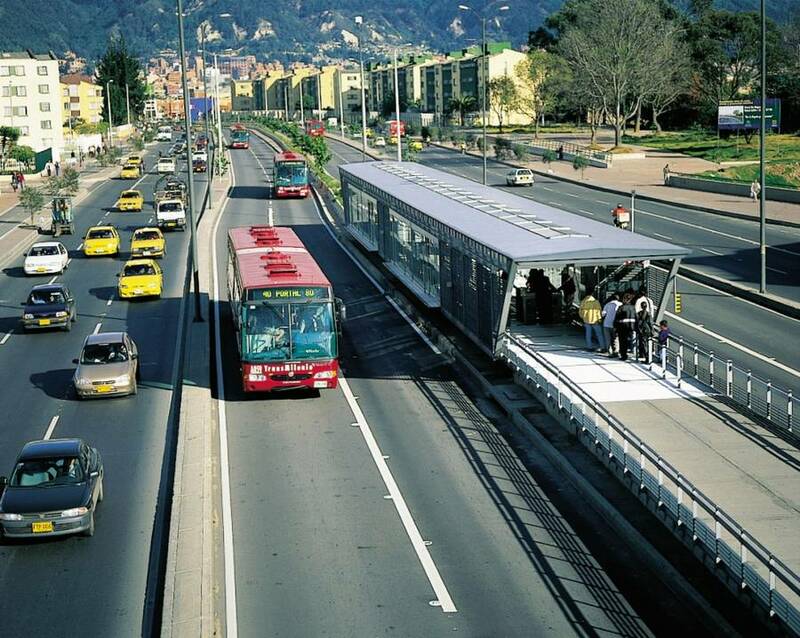 By that time Brazilian Curitiba has been using a system of bus rapid transit and Bogotá adopted this practice. For example, buses became first-priority on traffic lights. The buses’ floor and the platforms’ floor became at one level which quickened boarding and deboarding of passengers. Two-section cars accommodate 270 people and they go very frequently. It is possible to compare passenger traffic here with metropolitan one. Building and launching of such system cost $5.9 million for 1 km. And 1 kilometer of subway costs about $1.8 billion. Feel the difference! In 1997 practically nobody bicycled. And Bogotá administration invested $100 million to build a dense cycle network length of 300 kilometers. “The cycle track is a strong symbol of equality. A man with $30 bicycle is such important as a man with $30,000 car”, Penalosa declared. He prohibited to drive cars at rush hours and closed central streets for them on Sundays. In the city periphery people can go to bus station on the bicycle, leave it on the protected free parking and continue their way by the bus. Today 5% of all journeys in Colombian capital is bicycle ones. 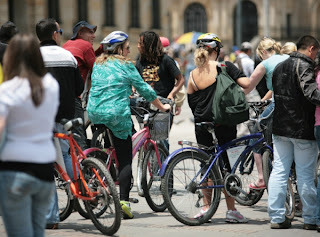 In other words there are 300–400 thousands bicycles in Bogotá. Cars traffic decrease 22%. It is necessary to say some words about Penalosa’s predecessor – Antanas Mocus. He became a mayor in 1995 and he was independent of various political forces. His reforms radically transformed society. Here are some extraordinary ideas. Everybody had a “citizens’ card”. If somebody breaks the rules of the road people show the red cards, or if driver is polite he gets the white one. Twenty mime actors showed people how to live and behave rightly in the city. This idea was too successful that the mayor discharged 3,200 policemen and retrain 400 of them to be the meme. Mocus persuaded 65 thousand of the richest Bogotá’s citizens to give to the city budget 10% of their incomes more. That got confidence to foreign investors and they became to invest money to Bogotá development. To free city from violence Mocus forbad late night establishments to work after 1:00 a.m. “The Women Night” appeared when men couldn’t go out home. Mocus transformed aggressive crowd to society. So, results of Mocus–Penasola joint efforts are next. 1,100 new parks appeared, 15 libraries opened and 400,000 people visit them every day. 98,5% of children go to schools. Every house has plumbing, electricity and sewage. Criminality, road traffic accidents and corruption fall in some times. Yearly income is $6,000 per man, population increased in a third and employment – in two times. 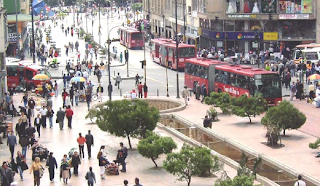 Now Bogotá is one of the fastest developing cities in South America.